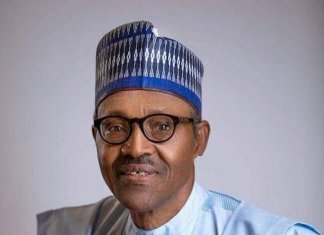 Some years ago Nigerian airlines had sustained air traffic in the West and Central Africa, especially after the demise of national carriers like Air Afrique, Ghana Airways, Nigeria Airways and many others that were created to signpost the independence of these nations from their colonial masters. Although Nigerian airlines after the deregulation of the nation’s aviation sector have suffered short life span, during their existence they ensured that they sustained air traffic in these sub-regions. It is also a region where about 50 per cent of passenger movement comes from Nigeria, so it remains a critical market for Nigeria and Nigerian airlines. But since after the enforcement of the Single Africa Air Transport Market (SAATM), which opened the airspace to the 26-member countries that signed the pact after it was ratified by the African Union early last year, airlines from other African countries have penetrated the market and almost taking it over with unscrupulous marketing strategy. On the other hand, host countries of these airlines try to discourage Nigerian carriers with high charges and taxes, which they don’t levy their airlines and when they come to Nigeria, which is the biggest market in the two sub-regions. In fact, they are not charged half as much as they charge Nigerian airlines. So this gives the other airlines operating in the West Coast the advantage to sell tickets at lower fares. But for Nigerian airlines to offset their operation costs and the high charges they pay operating to destinations like Accra, Doula, Abidjan, Dakar, Luanda, and Banjul, they charge relatively higher fares. High fares obviously would discourage passengers who would prefer to fly African World Airlines (AWA), Air Cote d’Ivoire, Asky and others that offer lower fares. 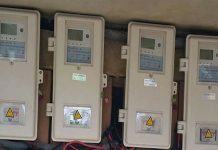 This has drastically affected load factor of Nigerian operators. So, experts believe the solution to this uncompetitive market strategy is either Nigeria charges these airlines as high as their countries charge Nigerian airlines or the West African nations agree on uniform charges. Many industry observers are of the view that for SAATM to work and benefit African carriers and also meet the objectives behind its establishment, there must be regulation in the charges and these charges should be uniform. Also member nations should also review downwards taxes on air transport in order to ensure that airlines operate profitably. Profitable airlines will stifle the erosion of the African market by foreign carriers, create jobs in the region and serve as pivot for economic development. Nigeria airlines are supposed to benefit from the treaty but indications show that they are losing dominance of the West Coast. 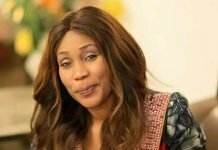 But industry consultant and CEO of Belujane Konsult, Chris Aligbe, said while the federal government could intervene on the issue, it should be the responsibility of the African Civil Aviation Commission (AFCAC) to spearhead the campaign for uniform charges, disclosing that the Commission has already started doing that. He also said Nigerian airlines are not getting themselves involved in the aero politics of the region and they do not participate actively in the regional association, African Airlines Association (AFRAA). He noted that by not being involved actively in the regional body, Nigerian airlines seem to have insulated themselves from the regional aero politics. Aligbe, said the move by AFCAC would be given fillip if the matter of uniform charges is tabled at AFRAA meeting, adding that Nigerian airlines should get actively involved in AFRAA activities. Aligbe, agreed that Nigerian airlines are no more doing well in the West and Central African destinations, which sustained them in the past, as other airlines in the sub-region have joined the market with competitive fares that are forcing out the Nigerian operators. “AFCAC is doing something on uniform charges. Uniform charge is one of the requirements of open sky policy. Nigerian airlines can make their case known to government by coming up with a report so that government can approach AFCAC with the issue. Charges have to be unified. “That is very, very critical. AFRAA is also very, very critical for our airlines but they don’t seem to understand the importance of that association. So, the painful thing is that Nigerian airlines are not members because it is at AFRAA that other airlines go to make negotiations and that is where aero-politics in the region is played. So if you don’t belong to AFRAA, you won’t know what is happening,” Aligbe said. However, travel expert and organiser of the Akwaaba African Travel Market, Ikechi Uko told THISDAY that adopting uniform charges was the best option to create stability in the air transport market in the West Coast. He regretted that most airlines in the sub-region have short lifespan and noted that for SAATM to work, the sub-regions like West Africa should operate as a domestic market with uniform charges, noting that taxes could be different because it is government that fixes taxes. However, in one of the conferences held in Abuja about two years ago by the International Air Transport Association (IATA), the body had called on governments in Africa to stop the outrageous taxes they level on air transport and also step away from the fixation that air transport is a luxurious means of moving people and goods from one place to another by bringing down taxes so that more people can travel by air because air transport is catalyst to economic development of any nation. The travel expert had told THISDAY that IATA and a former Minister of Aviation in Ghana were spearheading the unification of charges in air transport in the West Coast and noted that it would be the only way to maintain a robust air transport system in the sub-region that would be profitable to all operators. Nigerian airline operators had envisaged that with SAATM the nation’s carriers could be driven out of the West Coast and had advised the Nigerian government not to endorse the treaty yet until certain issues that could hinder equal competitive environment was sorted out. At stakeholders meeting to sensitise airline operators and others before the ratification of SAATM held in Nigeria recently, the Airline Operators of Nigeria (AOL) had opposed Nigeria’s signatory to SAATM. AON had appealed to the federal government of Nigeria not to go ahead with the full implementation of the Single African Air Transport Market and noted that while the idea may be noble on paper, there was a need for government not to lose sight of the facts and the dangers of the direct impact of the decision on the Nigerian economy and Nigeria as a whole and the future of our youths. AON said it was concerned that the timing was not right, as there were several unresolved issues and challenges being faced by Nigerian aviation that would ultimately undermine the perceived gains of this Treaty that might be an illusion for the country. AON said the basic issue of free movement of people and trade was an integral aspect of the declaration that would go a long way to determine the fairness of the SAATM project, but regretted that Nigerians require over 34 visas to travel within Africa alone and called on government to address this issue first before embracing SAATM. Because of the losses currently incurred on the West and Central African destinations, Nigerian airlines have cut back their operations. Arik Air cut back its operations in the West and Central African destinations, from Gabon, Banjul, Abidjan, Freetown, Douala and only operates to Accra, Ghana, Luanda, Angola, Dakar, Senegal and Monrovia, Liberia. Inside source from Arik Air told THISDAY that all the routes in the sub-region are unprofitable, disclosing that Nigerian airlines incur losses because of high charges leveled on them by the countries they operate to. “The charges in Accra are too high. After paying them, you cannot get up to N5, 000 from the base fare and you have not counted the cost of operation. Their ground handling charges are so high; the same with navigational charges by ASECNA (airspace services provider) and if you don’t pay in time they seize your aircraft,” the source said. 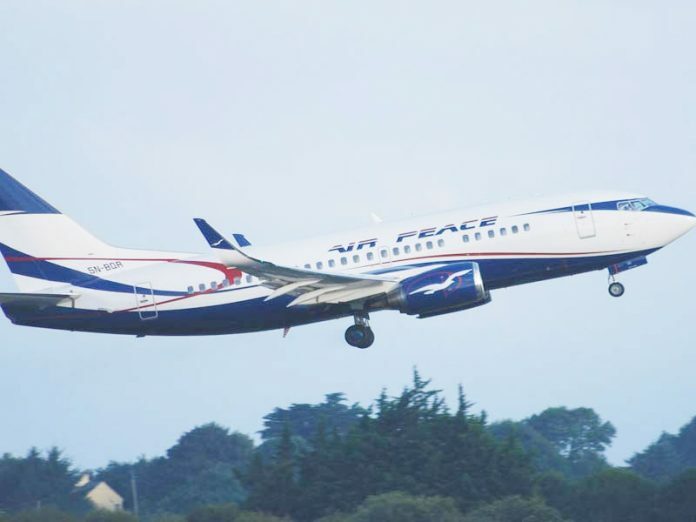 The Chairman of the Nigerian carrier, Air Peace, Allen Onyema, told THISDAY that time was gone when the routes were lucrative for Nigerian operators. “We lose over N500 million monthly to the West Coast. This is the money we make from domestic operations. Except this SAATM is readdressed, Nigerian airlines will go into extinction. “Unless government intervenes, we may leave the routes to these foreign airlines. This is because if you continue operating the West and Central routes, it will affect your revenue base on the domestic scene and you will crumble. That is why most Nigerian airlines could not succeed on those destinations,” Onyema said. Air Peace, which started operations four years ago, has launched operations to many destinations in the sub-region, which include Accra, Lome, Abidjan, Banjul, Freetown, Dakar and others. 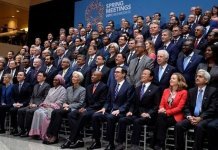 Onyema, said the Nigerian government should reciprocate the high charges by also charging those African carriers the same amount they charge their Nigerian counterparts. “The charges of those West African countries are out of this world. The solution to this is if we can have uniform charges. I doubt if they pay those charges they level on us in their countries. “And in Nigeria they are given something that is acceptable and affordable, so they can now afford to compete with us, bringing down their fares at will because they don’t pay what we pay. If Ghana takes about $100 from you for each passenger, how much do you use in buying fuel?” Air Peace boss asked. SAATM is expected to ensure that aviation plays major role in connecting Africa in order to achieve social, economic and political integration and boost intra-African trade.